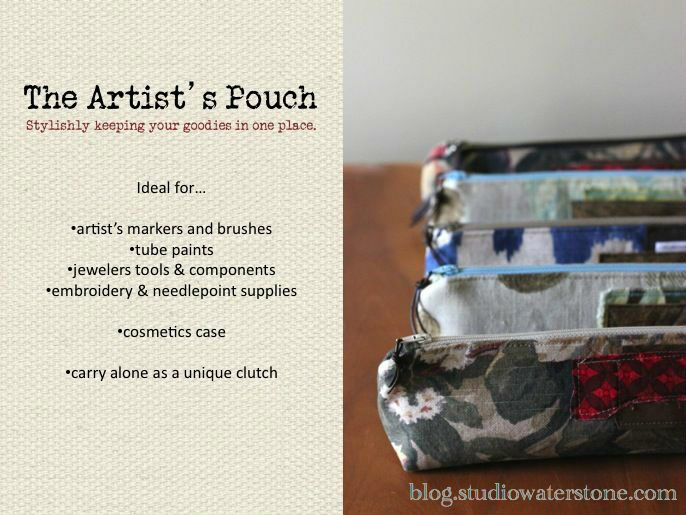 Today I'm showing off this new batch of large artist's pouches as I discuss product photography. 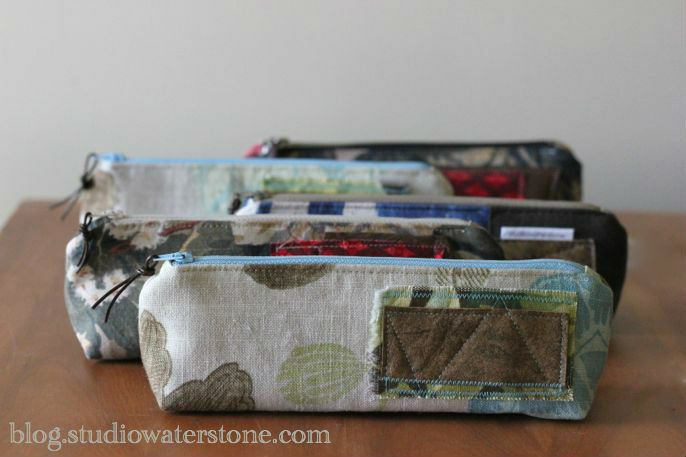 First, I'm so enthusiastic about the new pouches because they hold so much and are, in my opinion, ideally sized for so many different things. I have a large one which holds all of my markers and I have another, smaller one on my wish list for holding my girlie things inside my larger tote. Product photography - the bane of our existence, right? I have been through it all and am still in a constant state of change and attempted improvement. All of my pre-December photos were taken using a point and shoot and with the right circumstances, photos from a p&s will turn out fantastic. I have to admit, however, that since I upgraded to a Canon T2i I am able to get so much more out of my images. What I've learned so far about product photography? If possible, show the item with a model for size reference. Notice, also, that I gave the bag center stage by making everything else black and white. In other words, keep it simple. Show the item in use. Show a basic, front on shot. Have some fun with Picasa and make a collage, using one side for the item description. This can also be done in Powerpoint. Combine two or more photos to create a photo collage. Again, I'm clearly no expert. Just a girl pulling my hair out trying to get the right shot. What's your favorite way to see or shoot product shots? Any tips or tricks you'd like to add? 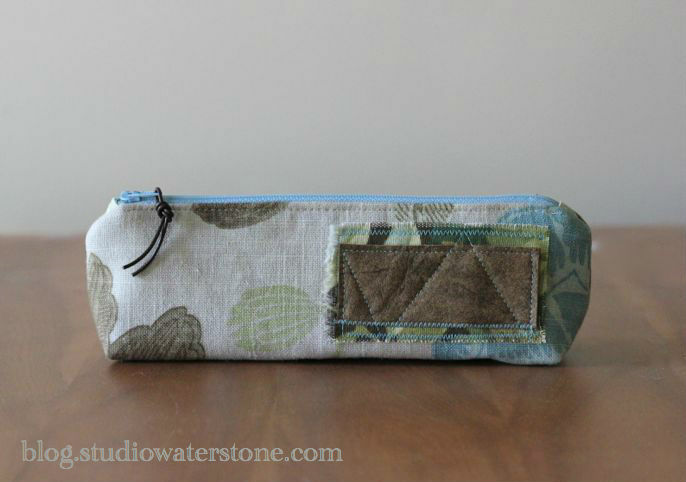 Love your intro' artist's pouches, rustic and useable. I like long narrow, nothing's buried down too deep to find quickly. Nice fabrics and like the leather thonging tie on the zippers too. 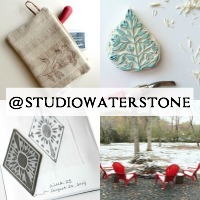 Great product photography using collages too; neat post! Love the artist's pouches, REALLY LOVE that bag!! 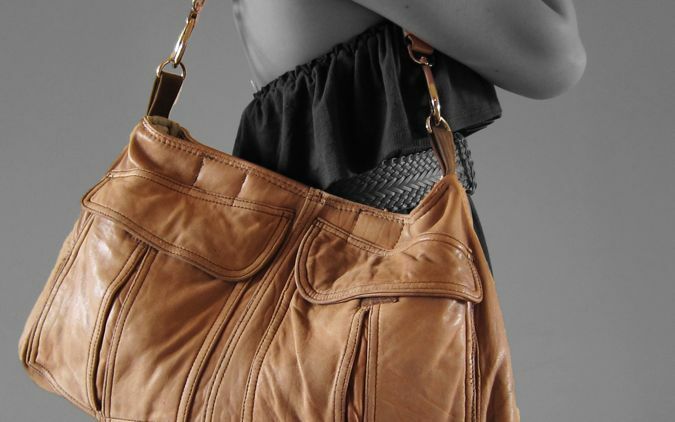 I love those pouches...I've been so loving clutches and small bags and yours are perfect. Thanks for the photography tips..... Your things always look so good! I love your work. 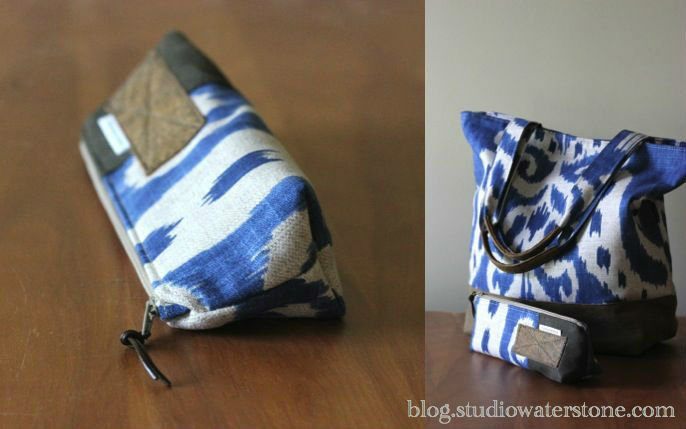 Have you ever thought about making camera bags?????? 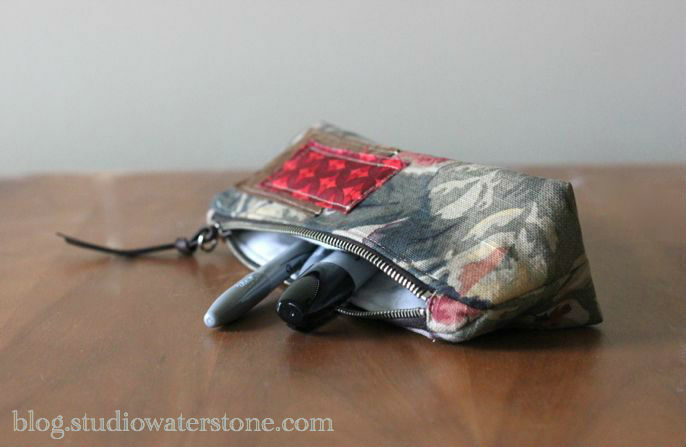 I love my little pouch :-)Like you, I used a point and shoot until recently when I got a nikon d3100. You can get a lot more depth with it but it takes some getting used to and backing up from little things more than you do with a point and shoot. I found that if I play with the exposure settings I get some really good representative color shots if I shoot in natural daylight but on a 'cloudy' setting in my south facing windows. Nice post with some great tips. I love my pouch. I have used it for several things - can't make up my mind!! It's the right size for so many things. The workmanship is exquisite. I think you are a master whiz when it comes to product shots. I think it varies for the type of item you are doing and you have to find a style that works for your esthetic. I am not fond of shots of my jewelry with too many props. Lately I have been using the backdrop of a few worn old leather covered books. That works for me. Doesn't distract the way a large silk daisy would, and certainly fits my esthetic. I can see the appeal of a model for pictures, but since I am not the model type and no one I know will be with me in my basement at 1:37 in the am then I do what I can with the slate tile that I have. ;-) Your pictures, especially the bw ones with the focal color on the bag, always draw me in. I have recommenced stalking you again for the perfect bag (not that the bag I have isn't perfect, just that I am delighted to see your bags resurface again!) I will also reiterate that I think you need to design a totable tool bag for all our jewelry making pliers and such. You know I would be first in line to get that! Enjoy the day, Miss Lori! I still have a p&s and feel like I've completely maxed out what I can do with it. Financially I'm not ready to make the jump to a DSLR, but the day will come.